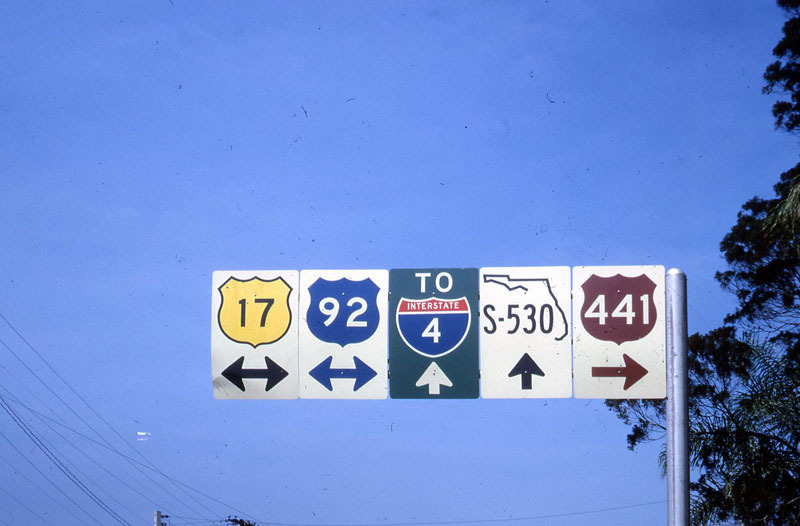 The significance of the S-530 - Disney World was not yet built, and S-530 would later become US 192, but at this point the end of US 192 was at this spot. The US 192 extension to US 27 post-Disney would be the first, and only, spot where two colored US routes bearing the same color (green) met. Photo by Jim Lindsay, 4/24/1968.